Last month, pop punk legends MxPx returned with a surprise self-titled album that quickly became lauded as one of the band’s best. On our latest podcast, Kiel Hauck is joined by Richard Clark of Christianity Today to discuss what makes the new album so much fun and how the band’s reflections on growing up have resonated with their longtime fanbase. Listen in! 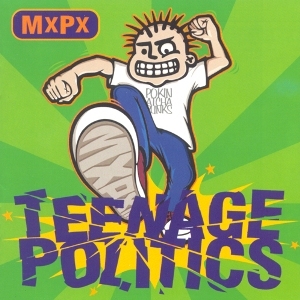 What is your favorite MxPx album? Share in the replies! Whether you know it or not, if you listen to music coming from today’s punk scene, there’s a strong chance that some of your favorite bands are heavily influenced by Bremerton, Wash., punk band MxPx. Starting in 1992 as a couple of high school friends jamming together in neighborhood backyards, MxPx would go on to become one of the most influential pop punk bands in history and the flagship band for one of the genre’s premiere labels, Tooth and Nail Records. Over the span of the band’s 22-year existence, they’ve released nine full-length albums, two cover albums and a slew of EPs and b-side albums. Influenced by bands like Black Flag and The Descendants and contemporaries to the likes of blink-182, New Found Glory and Good Charlotte, MxPx never achieved the wide-spread mainstream audience of their peers, yet they remain one of the most revered and respected bands from their era. For many, the band’s journey through adolescence parallels their own and serves as the soundtrack to growing up. Comprised for the majority of the band’s career of Mike Herrera (bass, vocals), Tom Wisniewski (guitar) and Yuri Ruley (drums), the band still plays scattered shows and records new music during their free time. They released their most recent album, Plans Within Plans, in 2012. We’ve decided that now is as good of a time as ever to break down the band’s discography and rank their full-length albums from one to nine. For the purposes of this piece, we’re leaving out all cover albums, b-sides and EPs and focusing only on the band’s proper full lengths. 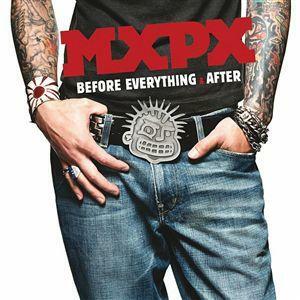 Read on to relive a bit of the band’s history and see how we rank the albums of MxPx. Feel free to share your thoughts and your own rankings in the replies! 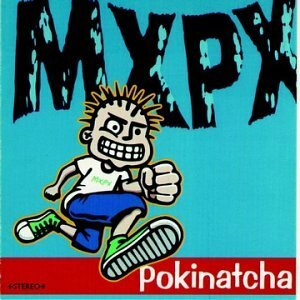 Pokinatcha, MxPx’s 1994 debut, is a fast paced and raucous affair, with many of the album’s 21 tracks clocking in at under two minutes. The only album to feature Andy Husted on guitar instead of Tom Wisniewski, Pokinatcha is rough around the edges, to be sure. You can see flashes of greatness to come scattered throughout the album and it’s still fun to go back and listen to the band in their infancy. The most recent release from the band, Plans Within Plans was recorded over the course of several months during 2011. Though the album lacks a bit of cohesiveness and the power of some of the band’s better albums, it’s still one hell of a punk rock record. Opener “Aces Up” is a highlight and proves that even 20 years in, MxPx is still doing it better than most bands on the scene. Long considered the black sheep of MxPx’s discography, Before Everything and After is about as pop as the band ever got. That’s not necessarily a bad thing – there’s some great tracks on this album, but there’s also a few over-produced and out-of-place songs that don’t sound right on an MxPx album. Though it’s not a throw-away as some fans believe, it’s far from the band’s best work. Teenage Politics serves as the bridge between the band’s beginnings and their golden era. The band began polishing their rough punk rock sound and added in a splash of skate punk to keep things interesting. The album also features staple track “Punk Rock Show” along with a few other classics, including hidden track “Dolores”. It’s youthful, energetic and showcases a band on the rise. No one saw this one coming. MxPx bounced back from 2003’s poppy Before Everything and After with what may be their heaviest and hardest hitting album – Panic. The album ignites with a bang when opener “The Darkest Places” kicks in and then proceeds full throttle, featuring staples such as “Heard That Sound”, “Young and Depressed” and “Wrecking Hotel Rooms”. 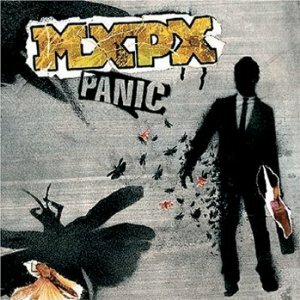 Panic single-handedly breathed life back into MxPx and proved that their career was far from over. The band reunited with Tooth and Nail Records in 2007 to release Secret Weapon, an album that showcases pop punk at its best. Produced by Aaron Sprinkle, the album is glossier than some of their other releases, but is just as fast and furious – check out “Contention” as an example. The album is chock full of singles, including the title track, “Shut it Down”, “You’re On Fire” and “Angels”. 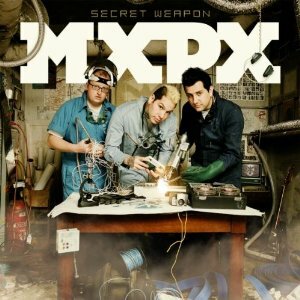 Fifteen years into their career, MxPx managed to mop the floor with majority of the pop punk scene and solidified their legacy with Secret Weapon. You wouldn’t have been able to blame MxPx if they had failed to follow up Life in General with another stellar album, but the truth is, Slowly Going the Way of the Buffalo is a classic in its own right and is also the band’s only gold record. The band is on top of their game on Buffalo, an album that’s littered with classic songs – “Tomorrow’s Another Day”, “Invitation to Understanding”, “I’m OK, You’re OK” and many more. 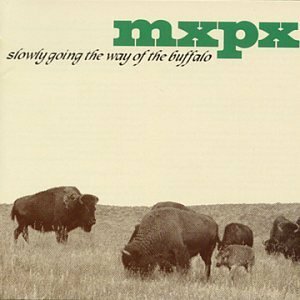 Titled after a dismayed fan told the band they were “slowly going the way of the buffalo,” MxPx decided to prove him very, very wrong. 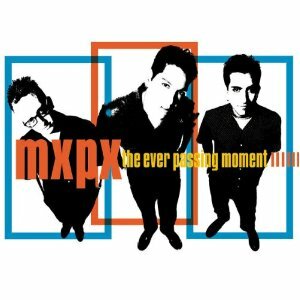 It’s true that this album may be ranked too high for some, but The Everpassing Moment features just about everything there is to love about MxPx. There’s no duds on this album and it rolls rapid-fire from front to back. Whether it’s the fast-paced industry commentary found on “The Next Big Thing”, the sing-along feel of “Is the Answer in the Question?” or the accessibility of semi-hit “Responsibility”, the album is solid throughout. From fiery opener “My Life Story” to dark closer “Misplaced Memories”, The Everpassing Moment may be the most re-listenable and consistent of any MxPx album. It’s really no surprise to find Life in General at the top of this list. The album is considered one of the greatest pop punk albums of all time, and for good reason. 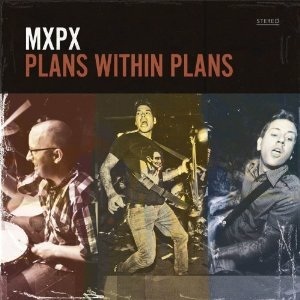 MxPx managed to capture lightning in a bottle – every song is memorable, well-written and perfectly placed. There may be no better way to describe the process of growing up than Life in General – from the girl problems (“Do Your Feet Hurt?”, “Chick Magnet”) to depressing days (“Middlename”) to learning to be yourself (“Sometimes You Have to Ask Yourself”, “Doing Time”). 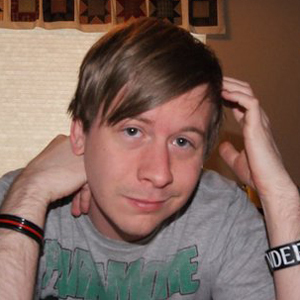 In addition to Herrera’s amazing storytelling abilities, the album is also a snapshot of the golden era of pop punk. Wisniewski’s guitar slides the melody in and out with apathetic excellence while Ruley’s drums power the songs from front to back. Even the album’s artwork is classic, capturing the warzone of a high school hallway. 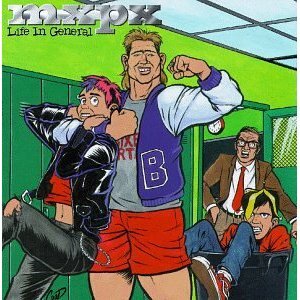 Life in General isn’t just MxPx’s best album, it’s one of the best punk albums of all time.